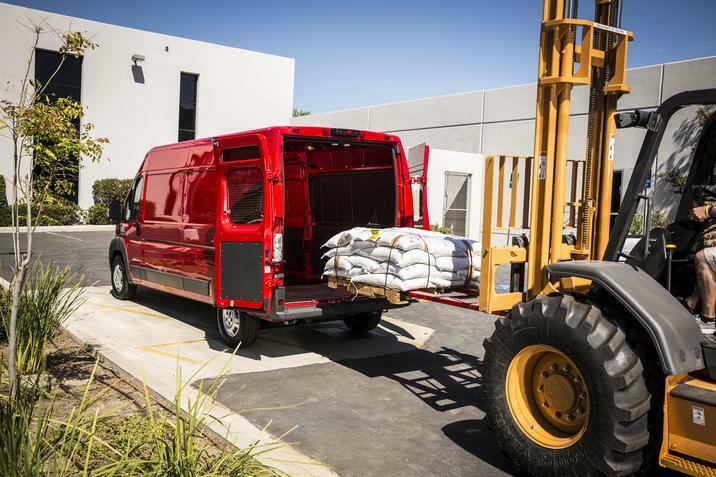 If you're a business owner who needs a dependable work vehicle, look no further than the 2019 RAM Promaster City van. It's sized just right for urban environments. 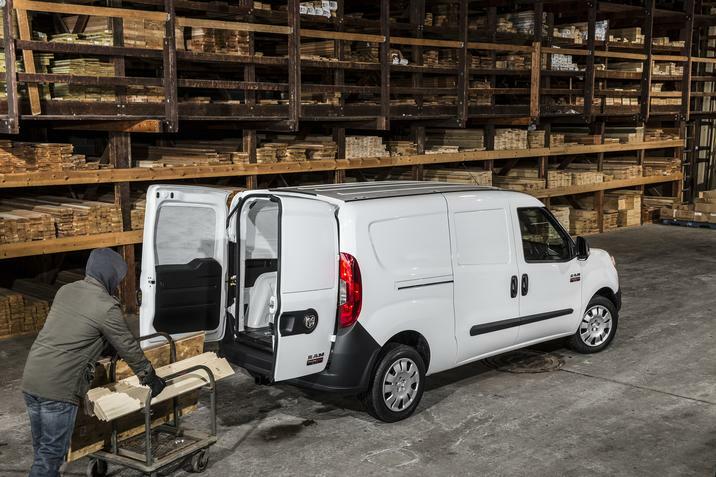 A narrow body and short wheelbase enable the new Promaster City van to easily slip into tight spots. Bulletproof reliability gives you another reason to choose the new Promaster City over the competition. While this compact van is built to get the job done, you can still look forward to experiencing everyday comfort. A number of great upgrades are available. To check out the 2019 RAM Promaster City, head down to your local RAM dealer serving Albuquerque Los Lunas Santa Fe! When running a business, your presentation definitely matters. A stylish work vehicle will show clients your dedication to quality. The 2019 RAM Promaster City van will certainly prove to be a valuable asset to your company. You'll immediately notice the Promaster City's sleek profile, which bolsters fuel economy by reducing wind drag. Optional roof rails further enhance the van's cargo capacity. A total of eight paint colors are available, including Black Metallic and Blue Night. While the base Promaster City is attractive, several appearance upgrades are available. Body-colored mirrors and bumpers take the SLT trim's curb appeal to the next level. Not only does the SLT trim's privacy glass help keep thieves at bay, but it also helps keep the interior cool on hot days. If you want to really make a grand entrance, opt for the Promaster City's Lights and Wheels package. It equips the van with a more stylish set of 16-inch alloy wheels and fog lights. Custom graphics are available as well. Your local RAM dealer in Albuquerque New Mexico will have all of the trims on display. Don't hesitate to come out for a visit! 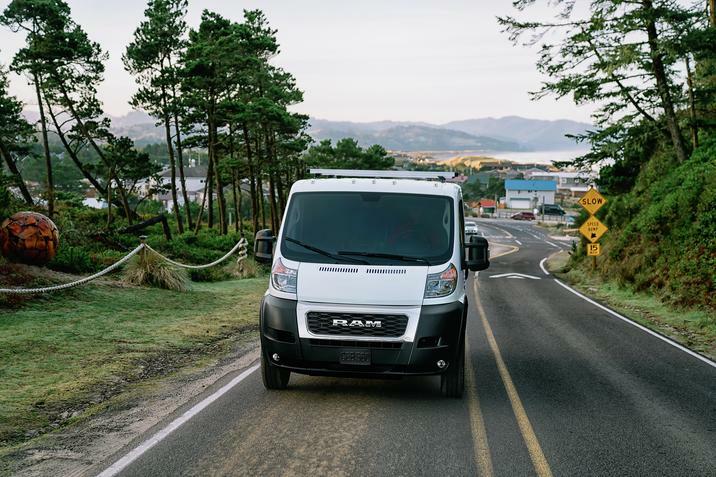 The 2019 RAM Promaster City is among the most versatile vans in the segment. Despite the Promaster City's compact design, it still proves to be roomy and accommodating. With more than 130 cubic feet of available cargo space, this van can store a lot of stuff. As you know, a comfortable atmosphere makes the work day more enjoyable. A tilt-and-telescoping steering wheel helps everyone to obtain a restful driving position. For an even more relaxing ride, opt for height and lumbar adjustments for the driver's seat. You can further enhance the van's luxuriousness by adding upgrades like a leather-wrapped steering wheel and premium cloth upholstery. Whether you're making an out-of-town run or a local delivery in Albuquerque New Mexico, you can take full advantage of the Promaster City's great features. Even the base model provides popular features like Bluetooth connectivity, a Uconnect 5.0-inch touch screen, and a useful USB port. Available navigation ensures drivers are always on the right track. Meanwhile, an optional six-speaker stereo system and satellite radio ensure a more entertaining drive. Some of the other goodies include navigation, heated front seats, and an auto-dimming rearview mirror. For more information on the Promaster City's list of equipment, be sure to contact your local dealer serving Albuquerque Los Lunas Santa Fe. The RAM Promaster City is engineered to be one of the best vans in the segment. It's also built tough enough to handle the everyday grind. All of the key drivetrain components are designed to withstand the test of time. To ensure a great ride and responsive handling, RAM equips the Promaster City with a class-exclusive rear coil suspension. When maneuvering along narrow city streets, you'll especially appreciate the Promaster City's nimble driving dynamics. The van's plush ride also ensures great comfort on the interstate. Outstanding towing capabilities make the Promaster City van an even more rewarding commercial vehicle. An available Class III hitch enables the Promaster City to confidently pull up to 2,000 pounds. Come see what makes the Promaster City such a great all-around van! While you're more than welcome to drop by the dealership at anytime, you can save time by scheduling a test drive in advance. When it comes to performance, the 2019 RAM Promaster City Van takes another leap past the competition. In fact, its standard Tigershark four-cylinder engine generates class-leading power. MultiAir technology helps it to develop an inspiring 178 horsepower and 174 pound-feet of torque. A nine-speed automatic transmission with Electronic Range Select ensures the maximum responsiveness. Quick take-off capabilities allow you to breeze past traffic. You'll always have an extra punch under the hood. Strong fuel economy makes the new Promaster City even more rewarding. Come take a test drive today! Drivers will be thankful for the Ram Promaster van's long list of great safety features. While Brake Assist technology helps you to stop quickly during emergency situations, Electronic Roll Mitigation gives you greater confidence when taking curves. To enhance outward visibility, RAM equips every Promaster City with a standard ParkView camera. Some of the other standard safety innovations include trailer sway control, hill start assist, and electronic stability control. Available as an option, ParkSense monitors your proximity to obstacles. For more facts on the Promaster City's security features, contact your local RAM dealer in Albuquerque New Mexico. Add a new Promaster City to your commercial fleet! For details on scheduling a test drive, contact your local RAM dealer serving Albuquerque Los Lunas Santa Fe.